today I’m delighted to share with you another interview with a debut author! 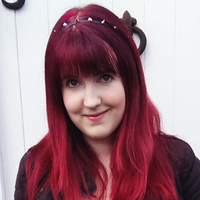 Meet Sophie Cleverly, author of the Middle Grade series SCARLET AND IVY (HarperCollins). Sophie Cleverly was born in Bath in 1989. She studied for a BA in Creative Writing and an MA in Writing For Young People. 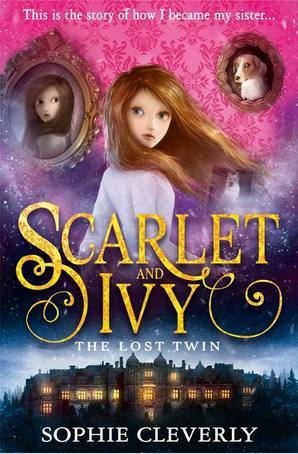 Book one of her Scarlet and Ivy series is out now from HarperCollins, with books 2 and 3 coming in late 2015 and early 2016. Aside from writing, she can often be found blogging about symphonic metal, watching fantastical TV and struggling to find her way out of her ever-increasing pile of books. Did you always know you wanted to be a writer? When/How did you decide to be a writer? I loved writing stories from the minute I learnt how to write. I made my own paper books (some of which I still have) and wrote stories in school all the time, even in lessons where I wasn’t supposed to. But although I always knew I wanted to be a writer, I never considered that I could actually do it as a job until I applied for the MA in Writing For Young People at Bath Spa. Before that I’d been planning to be a teacher, but I decided to drop the sensible option and try to follow my dream. Are you a full-time writer? When and where do you write? I am lucky enough to be a full-time writer at the moment. I always write in the evenings and at night, because I find the ideas flow much easier (I’m not a morning person…). I type my work on my PC, which is in our small second bedroom that we optimistically call a study. It just about fits both our computers, my pet degus and A LOT of books. I have a lovely view out of the window of the church and a field full of sheep. What do you say to writers who want to be traditionally published one day? Do your research! With traditional publishing, you’ll almost certainly want an agent. It’s quite easy these days to find agents online telling you what they want from a query and what sort of books they’d like to see. The more you know about who the agents are and what they’re looking for, the more successful your query process will be (and a rejection with feedback is still a success – if lots of agents are saying the same thing, that’s how you know what needs work in your manuscript). I’d also really recommend getting hold of the Children’s Writers’ and Artists’ Yearbook, which lists all the contact details of agents and editors and has tons of great advice articles too. To write SCARLET AND IVY, where did you get your inspiration from? The story actually came to me when I was studying for my degree in Creative Writing. We were set a task to imagine a character returning to a room that they hadn’t set foot in for a long time. I imagined a room with twin beds, but I only saw one girl walking into the room. By the end of the lesson I had the beginnings of a story with the lost twin and the secret diary. When I was writing the book, I took inspiration from all sorts of places – my own memories, visits to interesting old buildings (for example, the dumbwaiter from Lacock Abbey has a cameo in the book), watching books and movies… I also looked at lots of old photographs of girls in the 1930s – I learnt a lot from that about what they wore, how they acted, what lessons they had to go to and so on. Your book is a MG mystery novel set in creepy boarding school: did you go to boarding school yourself when you were young? Why did you choose this particular setting? I didn’t go to boarding school, but I did go to a non-private all-girls school in rather creepy old buildings. We had wooden science labs with worrying things in jars, a creaky gym, a graveyard over the wall… all of this inspired aspects of Rookwood School in my book. I pieced together things from other schools I went to as well – the ghost rumours from my primary school play a big part in book 2. Boarding schools are just such a great and classic setting – most kids who don’t go to one find the idea fascinating. It’s even been revealed recently that young Queen Victoria wrote a book about a girl being sent away from boarding school. Getting your characters far away from the safety of their parents/guardians is brilliant for drama, and all kids can understand that fear when you go to a new school. Also my fiancé went to boarding school, so I like to mine him for information. I love your blog about symphonic metal – do you listen to music when you write? If yes, what did you listen to when writing SCARLET AND IVY? Thank you! Yes, I absolutely have to listen to music while I write. I think symphonic metal is the perfect backing music to writing because it’s like a film score. I particularly like listening to the instrumental versions of the albums so that I don’t get distracted by the words. For that reason I listened to a lot of Imaginaerum – The Score by Nightwish and The Life and Times of Scrooge by Tuomas Holopainen. Both are soundtracks which work really well for writing. I’m working on SCARLET AND IVY book 2, THE WHISPERS IN THE WALLS. This book has a bit of a wintry theme, and a ghostly presence! It’s been a lot of fun to play with my characters again and put them into a new story. Hopefully there will be a cover reveal soon (I have seen the cover, and it’s awesome!). I absolutely love the Tiffany Aching books by Terry Pratchett – Tiffany is such a fantastic heroine, a strong, angry and determined young witch. A HAT FULL OF SKY is my favourite of the series. 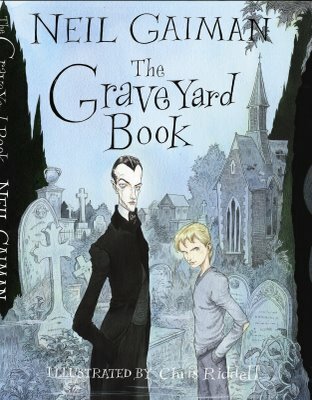 Another favourite is THE GRAVEYARD BOOK by Neil Gaiman. I confess I’ve always had a strange fascination with graveyards, and I’d love to write a book set in one. It’s just a shame that Neil beat me to it and wrote the perfect graveyard story. But I have some ideas for something a bit different! Thanks for the interview Sophie! You can buy SCARLET AND IVY: THE LOST TWIN here and pre-order SCARLET AND IVY: THE WHISPERS IN THE WALLS here. You can add the series on Goodreads here. “Waiting On Wednesday” is a weekly event, hosted by book blogger Breaking The Spine, that spotlights upcoming releases that we’re eagerly anticipating. But then Lawrence goes missing. And he’s not the only one. Victoria soon discovers that Mrs. Cavendish’s children’s home is not what it appears to be. Kids go in but come out . . . different, or they don’t come out at all. 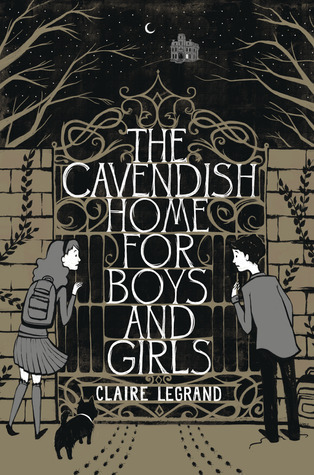 So on top of having a great blog, Claire Legrand is publishing this novel that sounds GREAT. I simply can’t wait.